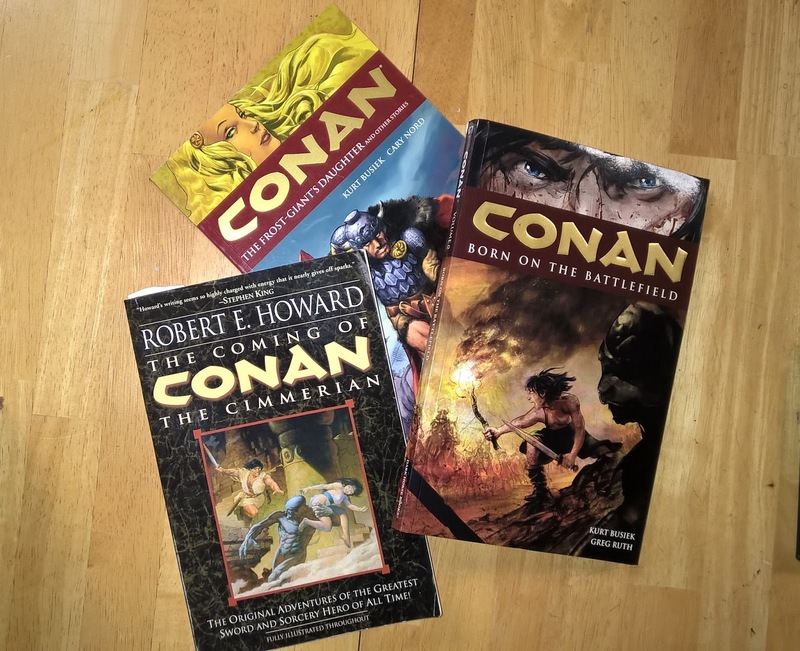 Whether you pronounce it Conan (like in co-author) or Conan (like in con-man) the fact that Robert E. Howard's most famous literary creation has become an enduring icon in culture -- both through the original writings and the many spinoff comic books and movies -- is indisputable. Tonight we start where it all began; we read and discuss the first three Conan stories in the order in which Howard wrote them. Join us and our two guests, Mike and Dennis, as we dissect the barbarian's early adventures and start to unravel the mystery of his appeal. Late to catch up with this but it was very entertaining. I have a lot of the Conan books but haven't read any for a long time - it's easy to forget what a good turn of phrase Howard had. Eagerly awaiting the next podcast.